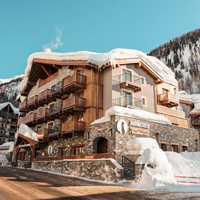 At the heart of Val d’Isère and at the foot of the mythical slope of Bellevarde, l’Altitude is a charming hotel where comfort and authenticity rhyme with conviviality. 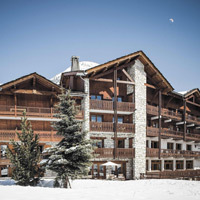 Situated right in the heart of the village, in Val d’Isère, the Inn St Hubert is 100 meters away from the ski area of the Space Killy and in the center of all the conveniences. Bar will allow you to relax in an atmosphere reconciling authenticity and modernity.